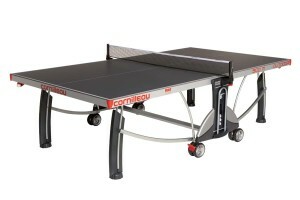 The Cornilleau 250 is a great table for outdoor and indoor use. 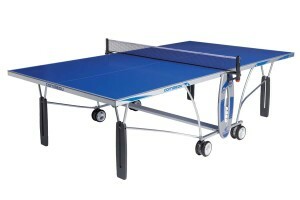 Plays great and very easy to fold up and move around. 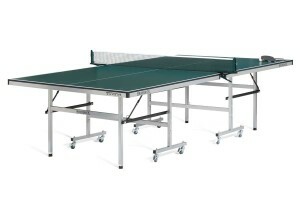 Cornilleau tables are the safest on the market so they are perfect for the whole family. 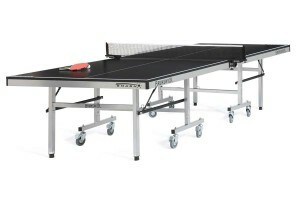 The entry level table in the Brunswick table tennis lineup. A brilliant green playing surface with matching net and net clips help the Smash 3.0 stand out, both in appearance and performance. 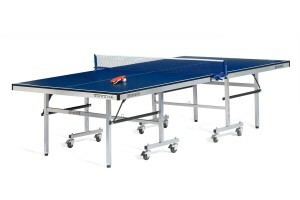 Featuring a 16mm-thick playing field, sturdy undercarriage and casters, and fold-up capability for easy storage.